I’m a big fan of Chinese food with my favourite takeaway dish being chicken fried rice with curry sauce and a chop suey roll – mmmm mmmm delicious! 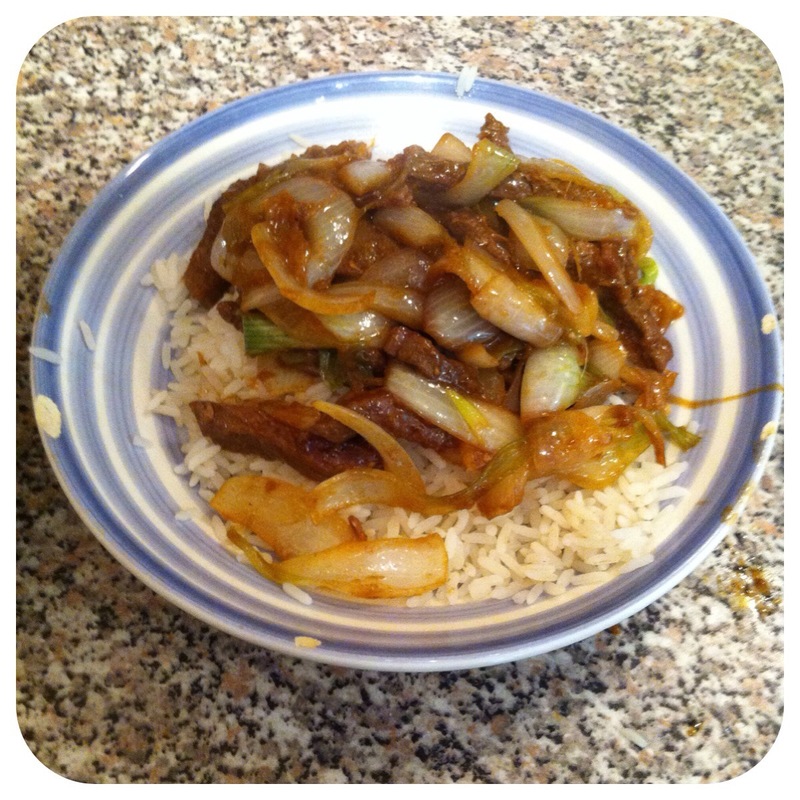 However when I visit a restaurant I choose a beef with ginger and spring onion dish. 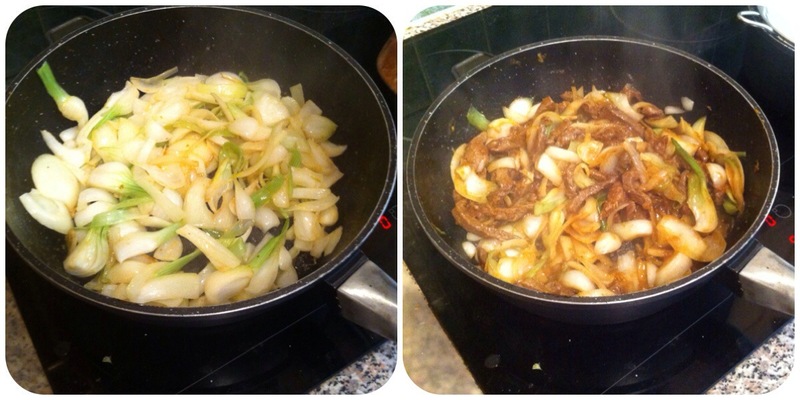 As there are no Chinese restaurants here I make my own beef with ginger and spring onions. I followed a recipe I found online. 1) Combine the oyster sauces, soy sauce and sugar and stir it for an even sauce. 2) Grate the ginger and add approx half into the sauce. 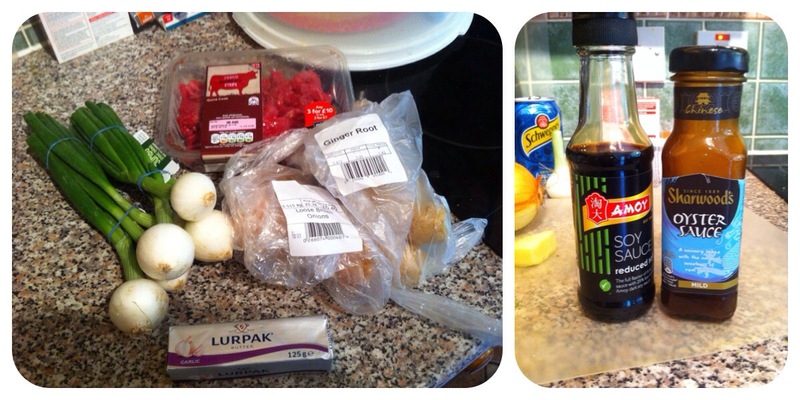 3) Cook the beef in some oil before adding to the sauce. Be sure to drain the oil from the beef first. Leave o marinade. 4) Chop the onion and spring onions into nice evenly sized slices. 5) Add the onions, remaining ginger and butter into a pan and cook until soft. 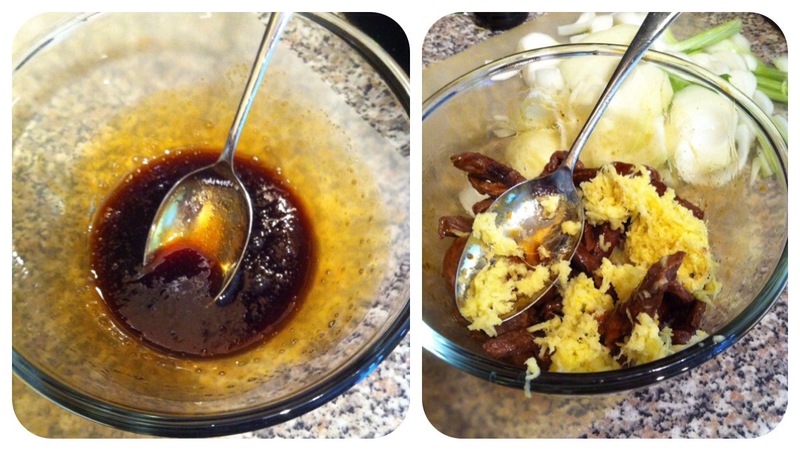 6) When the onions are soft add the beef and sauce in and continue to cook until the onions are covered in the sauce. 7) Serve with rice and enjoy! You can buy all the ingredients from Tesco so here’s the breakdown of the costs. I use some garlic butter to give the onions a little bit of a kick but plain butter also works. Also as you can see I use jumbo spring onions so if you’re using normal spring onions you may want to add more in. I think it may well be one of the nicest things I’ve ever cooked! Good luck finding some oyster sauce!